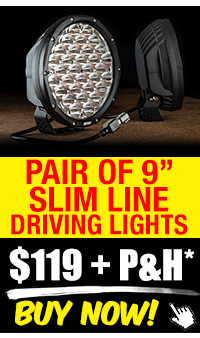 SITEWIDE EXTRA 10% OFF SALE ON NOW - Every item reduced at cart! Includes full D.I.Y. installation kit at no extra cost - Seen all over Oz – 2.5m square - UPF50+ rated - Fully waterproof 170GSM ripstop polyester- Heavy duty metal knuckles! Rain, hail or shine you can’t beat an Adventure Kings Premium Side Awning! Set up in seconds for shelter from the elements and packs up just as fast so you’re ready to hit the tracks first thing in the morning. Built to withstand Aussie conditions, Adventure Kings Awnings feature anodised telescopic alloy poles, alloy (not plastic) knuckles and 170gsm ripstop polyester. The entire assembly packs away into a heavy duty nylon reinforced PVC bag and mounts to virtually any vehicle with a roof rack. SMART DESIGN – Unlike other awnings on the market, Adventure Kings Awnings have a dual channel system, making folding up the awning poles, and entire awning, quick and easy. Simply set the poles to the correct height and fold in and out, no need to adjust every time – very quick, very easy, very simple! RUGGED – Uses quality components like anodised anti-scratch alloy poles, alloy knuckles and 170gsm ripstop polyester for long life. Packs away in a heavy duty nylon-reinforced 1000D PVC bag. SIMPLE DIY – Comes with fitting kit including 2x L brackets for universal fitment to most roof racks. Polyester is firmly rolled and secured tight to the main channel by velcro in a manner that ensures no movement. Never store the awning in a wet or damp state. LARGE 3M x 3M SIZE - Keep the sand and dirt out of your campsite, trailer, tent or swag with the Adventure Kings 3m x 3m Mesh Flooring. 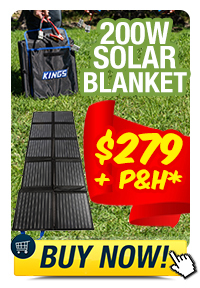 Offering NINE square metres of area, it's ideal for under your awning, outside your camper trailer or van or even as a picnic blanket or safe place for the kids to play. BREATHABLE - Some campsites require you to use mesh flooring as it won't kill the grass - the Adventure Kings Mesh Flooring is ideal! MULTI-USE - With 12 reinforced eyelets it can be pegged down to stand up to punishment in any wind or weather conditions and the neutral 'sand' colour means it wont stand out like a sore thumb at the beach, or in the bush. Double your shade and shelter for a fraction of the cost of a new awning. Fits most side awnings regardless of brand. 100% waterproof, UPF 50+ rated, 2.9m long by 2.5m wide. You can never have enough shade, right? Now you can boost the already large amount of shelter provided by an Adventure Kings awning, for a fraction of the price of buying another awning, gazebo or camp shelter. Allows you to extend the end of an awning, giving you more shade and shelter to prepare meals, sit and sleep under. Can also be secured along the side of an awning to create a more enclosed space – perfect to block out the sun for longer periods or block rain coming in sideways! This very affordable shade solution is the perfect addition to an Adventure Kings awning and will change the way you make camp. 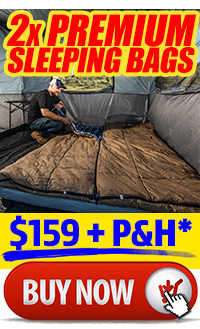 Adventure Kings Side Awnings only take 30 seconds to set up and give you heaps of Shelter! You won't find an Awning with these features! With an Adventure Kings Mesh Floor you can have a clean campsite wherever you are! 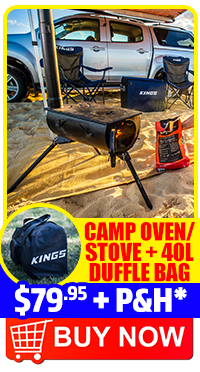 Kings Mesh Floors make a massive difference to your campsite! See how easy it is to set up a Kings Awning Wall! Can your awnings attach to roof rails or do they have to attach to roof racks? Our awnings come with all required mounting equipment to fit to most roof racks. They can also be fitted to many roof rails with the addition of extra bolts/mounting hardware. Which side of the awning runs along the 4WD? In each case, the first number quoted is the length that runs along the vehicle, and the second number is how far out the awning extends from the vehicle. Do the awnings fit the Ford ranger dual cab and Mitsubishi pajero? Our awnings fit all popular single and dual cab utes and wagons. Our supplied mounting brackets are designed to fit to roof racks like the style we sell, however, many people modify them to fit Rola-style roof bars without too much hassle. How do I stop my awning blowing around on the sand? We have developed sand bags to help anchor the legs of awnings on the sand. In windy areas we also recommend you substitute the metal pegs provided with plastic sand pegs to give the ropes something stronger to grip to. Can I buy spare poles for my awning? Yes we stock spares including poles and hinges. 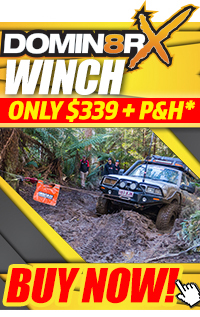 Please send us your request to info@4wdsupacentre.com.au Please include as much information as possible - the size of your awning and your contact details. Can I attach an awning to my vehicle without a Roof Rack? Yes, but you’ll need something to mount them to! Many 4WDers who own utes can use their ladder racks or headboards, even canopies, to fit their awnings. You can also use roof bars / crossbars but depending on the vehicle and setup you might need to go to the local hardware store and buy some bits and pieces to fit them up. our awnings are designed to fit to our Roof Racks with the included brackets. Do we sell 3m awning walls? No, however, our awning wall is designed to fit all three sizes of awnings we sell. You can use the side wall’s adjustable straps on the 2.5mx2.9m awning wall to secure it to the metal support arms along the side of a 2x2.5m, 2.5x2.5m OR 2x3m awning (the poles that run at right angles to the vehicle). Can any type of mounting brackets be used for awnings? There are many ways awnings can be mounted. We recommend making use of the L-brackets supplied with your Adventure Kings awning, however, it’s possible to create your own brackets to fit your awning to a different style of roof rack or other surface you plan to mount your awning to. Can awnings be mounted to caravans? Many people fit our awnings to caravans, trailers and horse floats, however, if the object you want to fit an awning to doesn’t have a roof rack or surface that would fit our mounting kit supplied with the awning, you would have to make some custom mounts for your specific application, which can be done with basic materials and tools. What is the maximum height of the awning poles? The maximum height of all our awning poles in 2150mm. Where are the mounting brackets on the awning? The mounting brackets are packed within the awning. Yes, our awnings are waterproof. WHAT SIZE IS BEST FOR ME? CAN I USE IT AS SHADE CLOTH? Yes, it can be set up as a shade cloth, but will not provide as much sun protection an Adventure Kings Awning or Awning wall. They have not been UPF tested as a shade cloth. DOES IT NEED TO BE PEGGED DOWN? No, but all Adventure Kings Mesh Floors have reinforced eyelets so you can peg them down if need be. HOW DOES IT SECURE TO THE AWNING? The Awning wall has both a sail track edge and Velcro straps so that it can attach to both the front edge and side of an Adventure Kings awning. There is only one size available 2500mm along the awning and 2900mm from the awning to the ground. This means it will suit both the front and sides of a 2.5x2.5 awning and will suit the sides of a 2x2.5m or 2x3m awning. CAN I USE TWO OR THREE AWNING WALLS? Yes, all sizes of side awnings can support two walls – one on each side, while the 2.5x2.5 awning can support one on each side and one on the front.